Once they’d do anything to keep her safe. Now they’ll do anything to kill her. The discovery of a genetically twisted corpse on her latest stepfather’s ranch in the Badlands of Forsaken triggers a desperate and brutal race against time for eighteen-year-old con artist Ariel Tesla when her loving stepbrothers are turned into monstrous killers with a single purpose: to hunt Ariel down and destroy her. Running for her life, the one person she can turn to for help is the last person in the galaxy she can trust, former mark Hale Carrow. 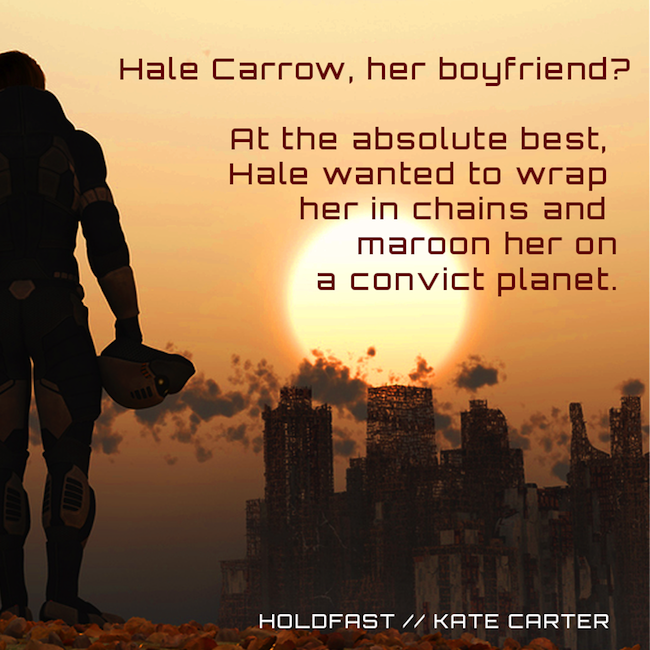 She needs a ship to get off the planet, fast; he wants revenge on the girl who broke his heart. To save the family she never thought she wanted, she’s going to have to gamble on the boy she betrayed, or no-one’s life will ever be the same. And hers will be over. The human body can only handle so much stress. Ariel knew how this went. If she stopped, she wouldn’t be able to start again. She’d crash, and then she’d be at the mercy of anyone or anything that came along. Despite the danger of stopping, she found her steps slowing. It wasn’t, however, the exhausted halt she battled with every step, nor the jagged, stumbling, end-of-the-line finish she yearned for. It was a graceful, taut arrest of movement, up on the balls of her feet, body quivering, nerves screaming. The mech shed was in sight, a shade beyond comfortable sprinting distance, dead ahead. She was out in the open, visible from every angle. Flat land stretched around her, rising to bluffs ahead and to her left. She turned, poised and scanning, all exhaustion forgotten. A full circle sweep. Nothing. She stared over at the bluffs and jumped with a punch of sudden shock when a group of ferrokirrim broke over the ridge and bounded down the slope, scattering scree. A mother and her almost full-grown cubs, she registered. Heading right for her. They’d take her down in a second. She’d be dead a second after that. In half an hour, she’d be a memory. She wasn’t ready to be a memory. She wasn’t ready for any of this, damn it. She bent her knees as they thundered her way, all the while thinking, What, are you going to wrestle them? There was nothing on the planet of Forsaken fiercer than a mother looking out for her cubs. Ariel braced. They ran right past, giving her a wide berth. She felt the mother’s eyes flick over her, dismiss her, then urge her cubs on with a spine-ruffling grunt. Ariel straightened slowly, staring after them. They were running away from something. What in hell would scare off a mother ferrokirrim? A rock bounced down the scree slope. Ariel counted the strikes. Three, then silence again. She did not want to turn and see what had knocked it loose. She didn’t have a choice. She turned. 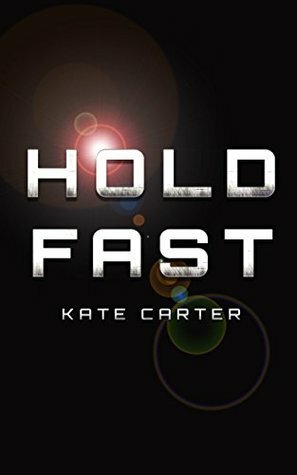 Kate Carter writes science fiction and fantasy, and lives in the UK. You can stay up to date with Kate's books through her Amazon author page.